Cleveland-based artist Scott Radke has spent the last 20 years of his life creating bizarre artworks coming straight out of his subconscious imagery. Despite the gnarled hands, corpse-colored skin and sunken eyes of his creations, Radke claims his creatures come in peace. Scott initially started by making sand sculptures on the shores of Lake Erie, then sidewalk drawings at festivals, large-scale murals around his neighborhood, masks for choreographed dances and incredibly coveted marionettes – he is now primarily interested in sculpting animal-human hybrids and burlap-formed creatures of all sorts. Scott Radke was born in Cleveland, Ohio, and grew up in the nearby suburb of Strongsville. Starting from a very early age, Radke has experimented with various media throughout his life. In the year of 1999, the popularity of his marionettes allowed Radke to leave his mind-numbing job at a bed-frame factory and start pursuing his creative passion on a full-time basis. After a while, all of the experiences listed in the first paragraph gloriously collided in what turned out to be the creative peak of Scott’s career, still a centerpiece of his career. 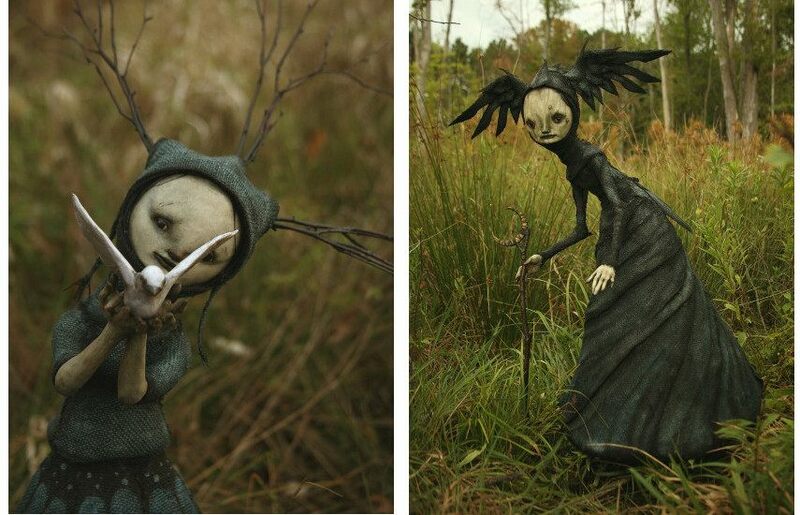 He currently focuses on the creation of sculptural hybrid creatures with an extraordinarily innocent, yet dark style. 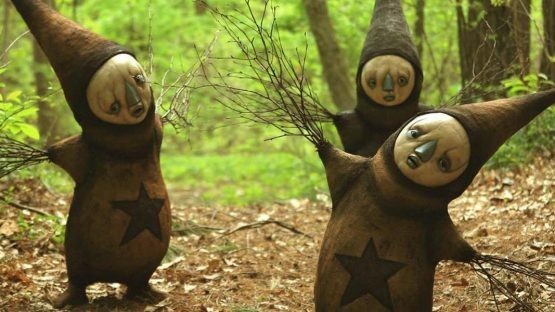 These creatures seem to be directly ripped from Scott’s imagination that serves the role of the creations’ home, a unique and dark universe where all manner of beings exist until they are pulled into our world. Radke currently lives and works in Clevland with his wife, their daughter, four cats and numerous goldfish. It is there that Scott prefers to bring his caterpillar people and bodiless, baby-cheeked creatures to life. Interestingly, Scott had a lot of trouble with anxiety and panic attacks in his earlier life – he believes that the process of breathing life into his creations is what helped him overcome his personal problems. They allowed him to live in a state of serenity and Radke aims to return the favor by giving the same sense of tranquility and contentedness to his soulful-eyed sculptures. 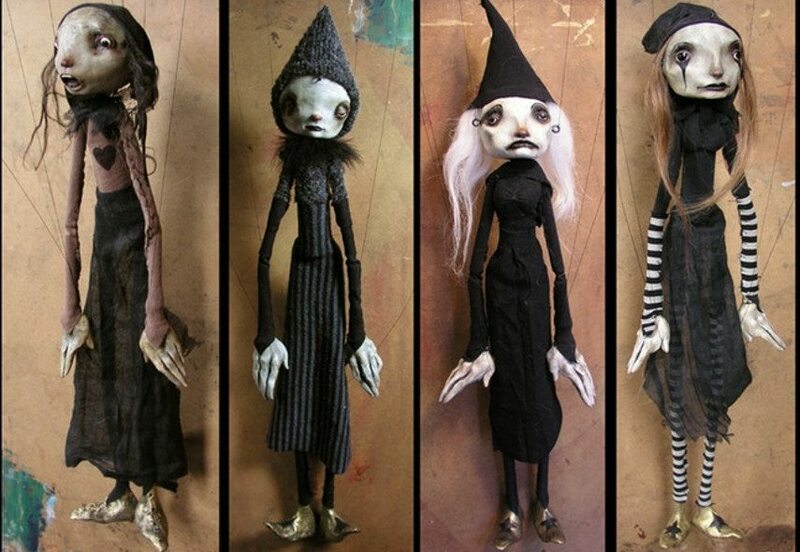 So far, Radke’s artwork has found its way into numerous private collections around the world and it has appeared in a number of music videos and films, most notably the cameo appearance made in Tim Burton’s Alice In Wonderland. These creations, emerging from their author’s tiny studio, represent a unique body of work that is a result of a highly original imagination and a lifetime of dedication. And, judging by the way his work has been developing recently and by its rise in popularity, we expect to see Scott Radke’s creatures make a lot more noise both in the world of art and entertainment. 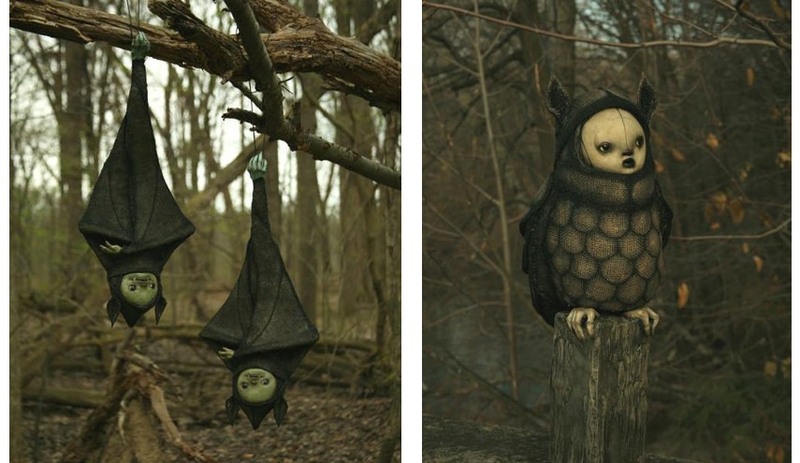 Scott Radke lives and works in Cleveland, Ohio, the United States.